Jimmy and Grandma stood on the footpath and waved as his mum drove away. With a little effort, Grandma crouched down on her knees, pulled apart the long grass and peered around. Jimmy stood on tippy toes and looked over her shoulder. ‘Can you see any tigers?’ He whispered. Jimmy looked closely. Yes, they were paw prints. But that was all they found. ‘Where shall we look now?’ asked Grandma. ‘Let’s go this way.’ He pointed towards the sand pit. Jimmy sniffed too. But all he could smell was compost and Grandma’s old sneakers and neither of them smelt very good. ‘What… what?’ Jimmy listened hard. ‘I don’t know,’ said Jimmy in a small voice. In single file, with Grandma leading, they edged along the side of the house. With Grandma standing tall and Jimmy hugging her waist they peeped around the corner. ‘What if he bites us?’ he said as they crawled closer and closer along the deck. Jimmy was sure the tiger would turn his head and see them. And that’s exactly what happened. Jimmy froze as he and the tiger came face to face. The tiger opened his mouth wide and his long pink tongue slipped out and slobbered a big wet lick down Jimmy’s cheek. Only the tiger wasn’t a tiger at all, it was Grandma’s old Labrador dog, Piper, but someone, probably Grandma, had dressed him in a tiger onesie. Jenny Eddy became a first time Nana to grandson, Sully last year and is planning lots of backyard adventures with him in the future. 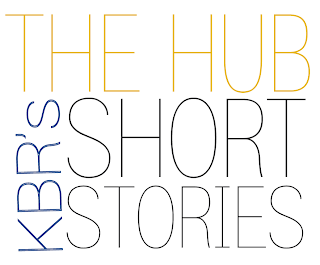 KBR Short Stories are a way to get your work ‘out there’—and to delight our KBR readers. Stories are set to a monthly theme and entries are due in the 25th of each month. Find out more here.